First off we zip tied ET to the metal basket. Then we took old bike handle bars and zip tied it to the basket. 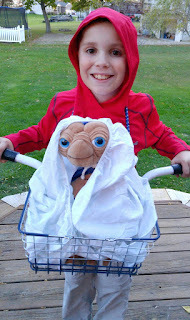 Wrap a sheet, blanket, towel around ET to keep him hidden. 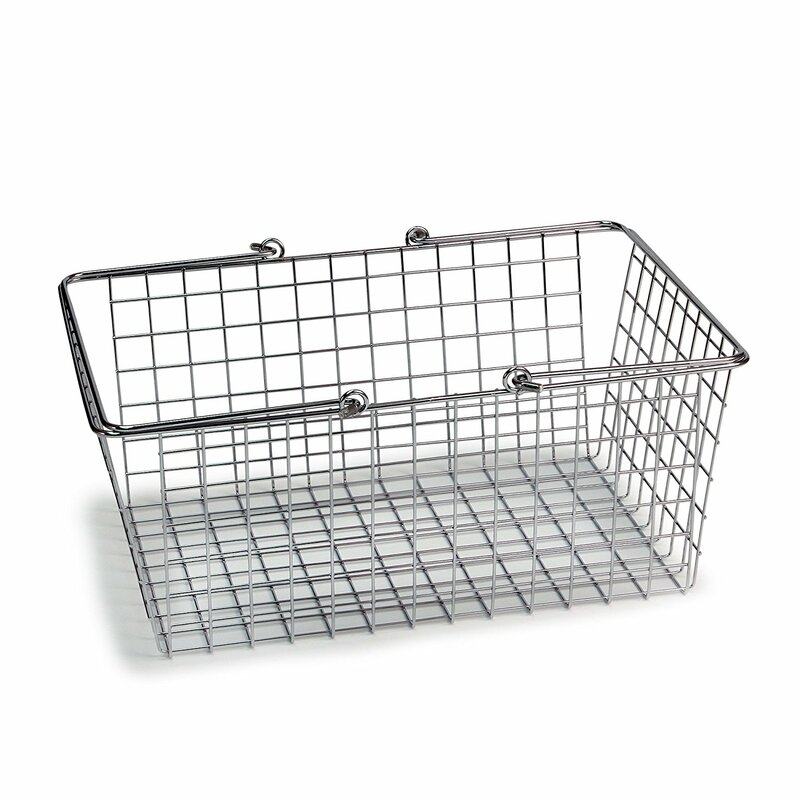 Attach a bungee cord around the basket and place it over your head. This way it hangs nicely in front of you! 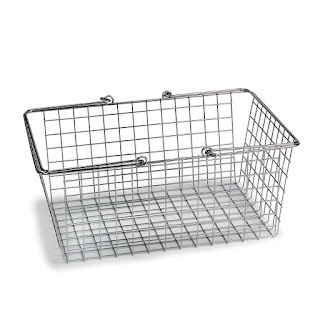 Wire Storage Basket $13.35 & FREE Shipping on orders over $49. The ET plush in my photo is the one below that we purchased at Universal. 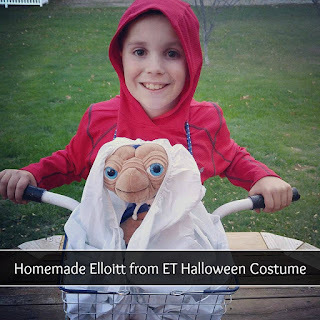 Universal E.T. 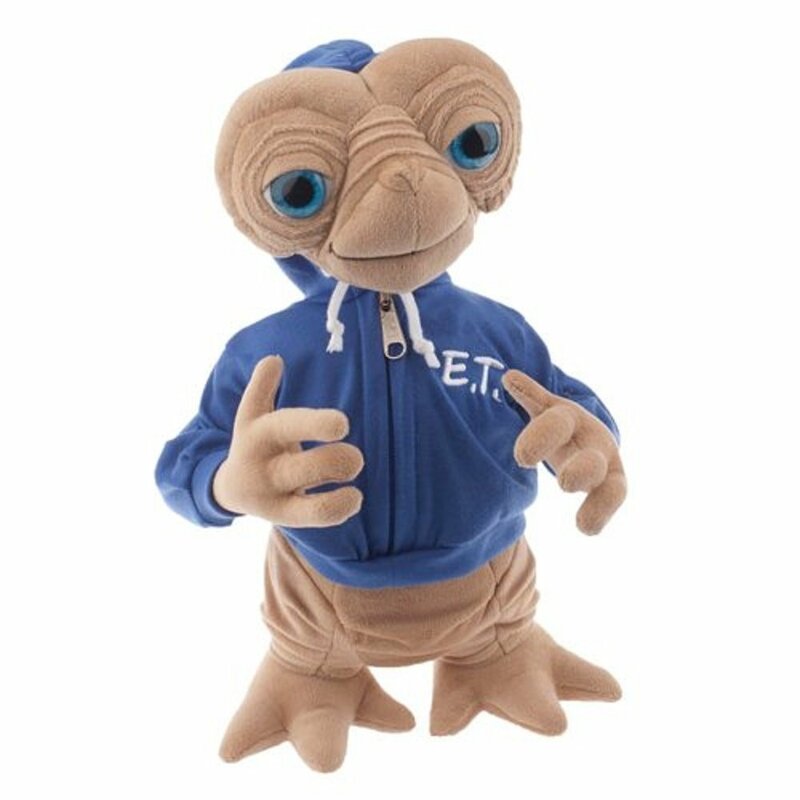 Extra Terrestrial with Blue Embossed Hoodie Sweatshirt 15" Plush Doll - $40.00 & FREE Shipping on orders over $49. This outfit is super cute and only takes a matter of minutes to put together!! !